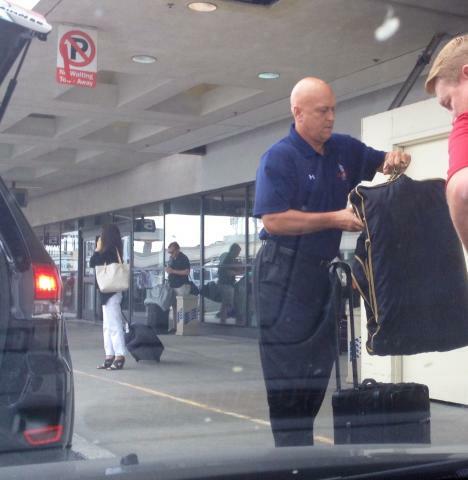 Thursday morning, baseball Hall of Famer Cal Ripken was witnessed exiting a car, outside the Delta Terminal at Los Angeles International Airport. The scene is visible per the above iFolloSports.com original photo. The 19-time All-Star/all-time consecutive games played leader would later be seen in Minneapolis, the site of the 2014 MLB All-Star Game. The Baltimore Oriole great appeared at a Northeast Minneapolis field dedication, while also conducting promotional work, on behalf of Target, and making a stop through the T-Mobile All-Star Fan Fest. As a result of his ongoing broadcasting work, combined with being one of the classiest athletes one would ever meet, Ripken's popularity remains virtually the same as during his remarkable 21-year playing career.